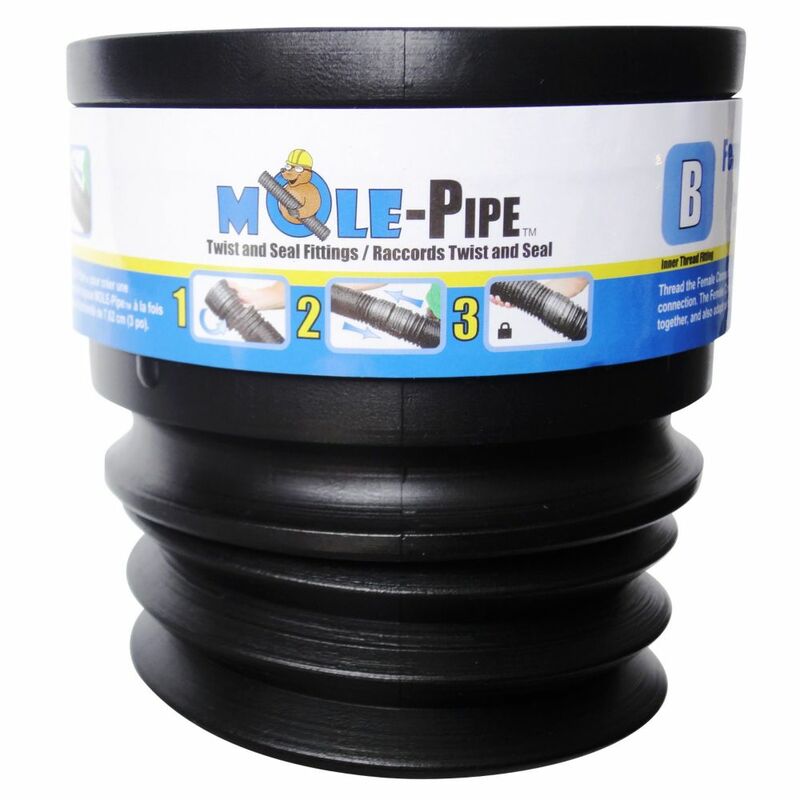 Twist and seal Female connector, counter clockwise threads inside any MOLE-Pipe length of pipe to create a secure connections. Designed for joining two pieces of Mole-Pipe together, by snapping over the male end adapter. Also compatible with FlexGrate Downspout filter, Storm Drain End Outlet and Vortex Pit bottom outlet. Compatible with Flex-Grate downspout filters, FLEX-Drain and 3in diameter pipes. These gas connectors are ideal for gas appliance applications including gas barbecue hook-ups, gas stoves and gas clothes dryer installations. They may be used with natural, manufactured, mixed and liquefied petroleum (LP or propane) gases and LP gas-air mixtures, as well as being specifically engineered to withstand prolonged exposure to common household cleaning, plumbing repair and masonry chemicals. No tool required! A great way to set up temporary TV connections or do temporary repairs before installing professionally. Make sure the connector matches the wire type. Twist And Seal Female Connector Twist and seal Female connector, counter clockwise threads inside any MOLE-Pipe length of pipe to create a secure connections. Designed for joining two pieces of Mole-Pipe together, by snapping over the male end adapter. Also compatible with FlexGrate Downspout filter, Storm Drain End Outlet and Vortex Pit bottom outlet.